1. Fourteen Amtrak riders were killed in a collision with a Conrail freight train in 1987, when the freight train’s engineer and his brakeman had been smoking marijuana. After the Conrail engineer was convicted of involuntary manslaughter and spent four years in jail, he became an addictions counselor and said that the accident would have never happened if not for marijuana. The Amtrak engineer, on the other hand, did not test positive for marijuana and was able to reduce his train’s speed, lessening accident’s impact. Pot smokers with inattention and slow reflexes are a danger, like drunk drivers. 2. Legalizing marijuana cannot bring in much tax or reduce drug violence. Quality control and tax benefits are arguments used to favor legalization, but the jury is out for Colorado and Washington. Rand Corporation has been doing cost-benefit analysis on drug policy for 15+ years, concluding that a huge government bureaucracy would have to put into place, making it more expensive than the revenue which could be raised. A more recent article has been published by the Institute for Global Drug Policy. 3. Marijuana, like cocaine, is psychologically addictive. It was formerly claimed that cocaine was not addictive; then came the epidemic of cocaine and crash abuse in the 80s and the experts recognized that cocaine is addictive! 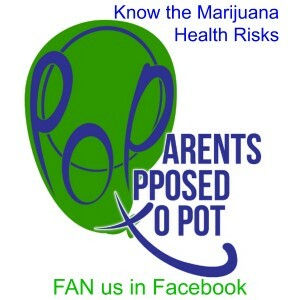 Nine percent of marijuana smokers become addicted, 17 percent of those who start in teen years. Rates of addiction for marijuana are comparable to those of alcohol. The addictiveness of alcohol and tobacco have never been downplayed, as in the case of marijuana and cocaine. 4. Marijuana causes cancer A recent study at USC has linked marijuana use in young men to testicular cancer. “It’s the type of cigarette that won’t give you cancer,” claim pot smokers trying to get followers, in addition to calling it “the type of cigarette that is not addictive.” Anything inhaled or smoked potentially causes bronchial, lungs and sinus damage. Heavy marijuana users have green phlegm and they frequently spit up blood. Marijuana smoke contains more cancer-causing chemicals than tobacco smoke. Smoking 3 to 5 marijuana “joints” a week is equivalent to smoking 16 cigarettes every day. There are some 400 chemicals in cannabis, and although one chemical may “fight” cancer, what about the other 399 toxins in a joint? Patients admit smoking cigarettes, but aren’t asked about pot. 6. Marijuana causes heart disease, like alcohol, tobacco and cocaine. Whitney Houston’s death was reportedly a drowning caused by cocaine and an underlying heart condition. However, there was also marijuana in her blood, though not believed to be the cause of death. Heart disease is very common among both marijuana smokers and cocaine users/abusers. Smoking one marijuana cigarette has the immediate effect of increasing heart rate and blood pressure as much as 50 percent. Marijuana increases the amount of toxic carbon monoxide in the blood, thereby reducing the amount of oxygen reaching the heart. Doctors ask heart patients about cigarette smoking, but don’t always ask about marijuana. 7. Marijuana is used with alcohol, tobacco and other fateful drugs. We don’t need to add one more dangerous, addictive drug into the mix of dangerous drugs that are already legal. To think that marijuana does not also play into the equation of many people who die from alcohol, drug or tobacco-related causes is wishful thinking. A large number of alcohol abusers and or tobacco smokers are heavy marijuana users. A woman responsible for 8 deaths on New York’s Taconic Parkway in 2009 used heavy amounts of both alcohol and marijuana before driving in the wrong direction and hitting an SUV. 8. Many legal jurisdictions in the US offer addiction treatment instead of jail. Some treatment programs also include forgiving other crimes committed while on drugs, if the person agrees to rehabilitation. Rehabilitation often fails or takes several attempts and is as expensive or more expensive than jail. It is easier to prevent the start of addiction rather than treat symptoms that could have been be prevented if use of the drug had never begun. 9. Minorities vote against marijuana legalization in higher percentages than whites, probably because minorities are more often victims of drug-related crimes than whites. If more whites have the ability to hire lawyers to get out of going to jail for committing crimes while on drugs, there is still not a reason for law enforcement to stop pursuing drug-related criminal activities. Possession alone is seldom the reason for incarceration. Myth #9 – Marijuana possession alone is a reason for incarceration and prohibition is racism. 10. Marijuana Prohibition is not similar to Alcohol Prohibition, which required a constitutional amendment to enact in the United States. AA was founded in 1935, two years after prohibition ended and drinking went out of control in the US. Marijuana is illegal worldwide and has been for years. During US Prohibition, Alcohol was legal in the rest of the world, except in Russia and some Scandinavian countries part of that time. The Netherlands has a culture of moderation, which is why official tolerance of marijuana works with less disruption than it ever could in the United States. The Dutch passed laws to keep foreigners out of marijuana coffeehouses, and they are reclassifying pot as a hard drug.